Hello! Are you still out there?? I hope so! I know it’s been a while since I last posted anything, but I’ve been busy! Also, I needed a little break from looking at every experience with the mindset that I need to somehow find a way to get a post out of it… kind of thing. Which, if you’re a blogger you know exactly what I’m talking about. Thanks for the emails, and if you’re reading this, which I guess you are… thanks for your continued loyalty of HONG KONG… according to KEN! I’m glad you’re here. ANYWAY, on with the post! 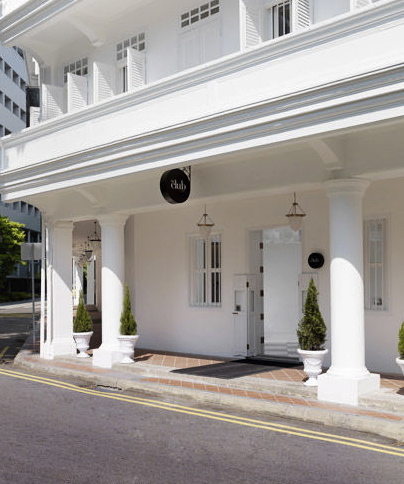 Last weekend I had the pleasure of staying at an über chic boutique hotel in one of Singapore’s most fashionable districts, with my friend Francois. 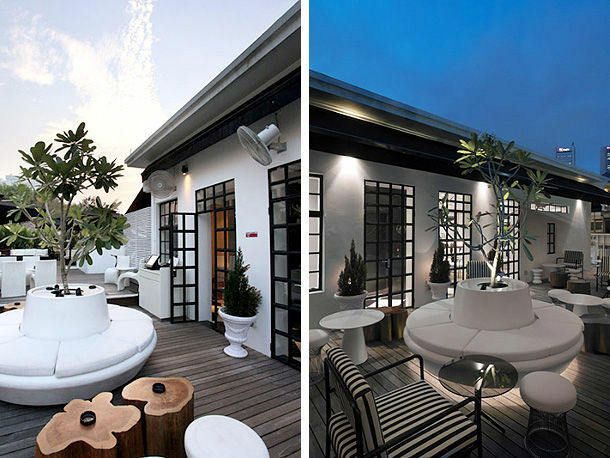 The club hotel by Harry’s Hospitality has just 22 rooms which means fewer guests and quieter nights… well, not exactly. The hotel itself was quiet, but due to it’s amazing location the street noise was a little much at times. However, once I reached out and closed the stately 1900’s historic colonial wood shutters outside each window, all was better! Each evening the street out front would close for pedestrians only and all the nearby bars and restaurants would quickly transform the streets with tables and loungers, expanding their seating capacity. In a way, the transformation was similar to watching the night markets take form on the streets of Bangkok. Only difference, this street smelled better and the people were a lot prettier! As for the loud music… we really couldn’t complain as each song was followed by another great song. 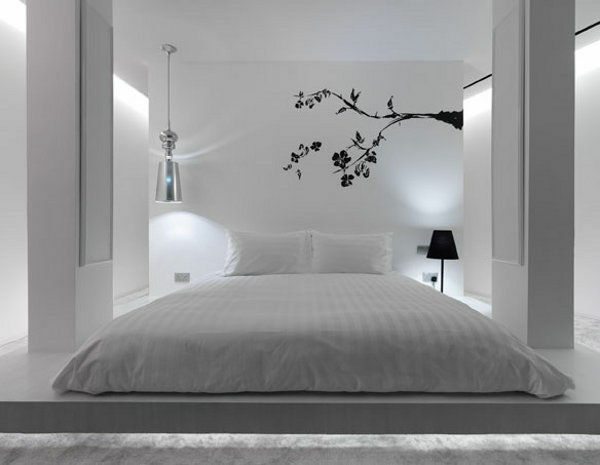 The club hotel is decorated with a stylish blend of contemporary minimalism and antiques with oriental accents. As for the color palette of white, white, white and a touch of black… and along with having an amazing travel companion, I was in Ken heaven! No matter how amazing the environment, for me great service always rules. And let me say now, this staff ruled! I may have had a few a long list of highly detailed special requests to make this weekend special and they delivered beyond my normal almost-impossible-to-please standard. From the moment I arrived they were complete professionals and delivered an amazing weekend get-away experience I’ll always remember. This post is not a sponsored advertisement. All views are of my own. Love your article! Can’t wait to read the next one!